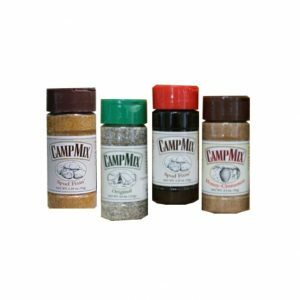 Our CAMP MIX product line is "ALL-in-ONE", ALL Purpose, ALL-the-TIME blended seasonings. Originally put together to save time and space for a family camping trip, CAMP MIX has grown to be the seasoning of choice for everyone's home kitchen and grill. Our promise is that all of your meals will be more tasty and easier to prepare. It's that simple! We guarantee satisfaction. You will NOT be disappointed with any of our CAMP MIX products!